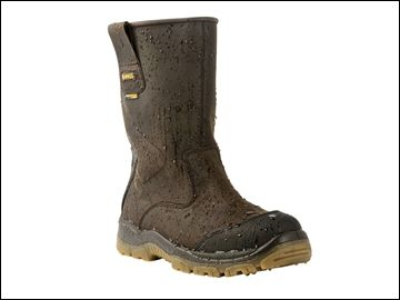 The DEWALT Tungsten S3 Rigger Boots have a PU dual density outsole that is lightweight and durable, and has been tested to 35,000 flexes, providing long life. They have a steel toecap and steel midsole for maximum safety. They have a weatherproof membrane lining.